Claude Paquin has become our fourth guest judge and creator of this Virtual Rocket Contest. The theme for this contest is Big and Fat. 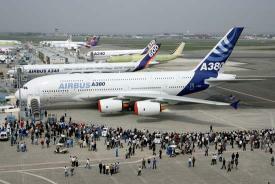 This contest was inspired by the new Airbus A380 carrier. This monster of the skies will be able to carry 555 passengers with a range of about 9000 miles. As we all know, life is not only made of minimum diameter rockets, and it is often necessary to have a decent amount of cargo space while maintaining flexibility and good overall performance. Entries must be received by 4/30/2006. Contest will take place from 5/1 - 5/7. All designs must have an internal cargo space (payload space) of at least 555 cubic inches. You may have more cargo space than the minimum. The cargo area must be made of standard body tubes from the Rocksim database and have an outside diameter of at least 4.000 inches. You can use the table (right) to determine the minimum length of your payload area based on popular airframe sizes. The smaller the diameter, the longer the payload area has to be. Your choices are not limited to these sizes. You can use whatever is in the Rocksim database. The formula to determine the minimum length of the cargo area for straight tubing is L= 555 / (3.1416*ID*ID/4). Note: This is the minimum available space required. Couplers are allowed in the cargo bay without penalty if you want to extend it past the standard tube length. If you want to use a tube in part as cargo space and in part for parachute or electronics, you need to add a bulkhead to separate the two zones. You may not use the cargo space for your parachute, shock cord, or any other object. This space is reserved for the payloads used in events 2 and 3. For multi-stage designs, the cargo space has to be in the sustainer. 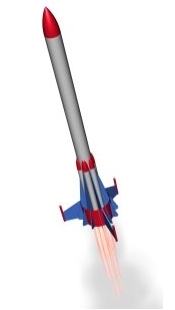 Each rocket must have at least two different airframe sizes. There is no minimum length. Maximum total impulse allowed is 2560 N-S (full K motor). If you use more than one stage or want to do air-starts, you must include a mass of 2 ounces for electronics. There must be at least 2 sets of 3 - 8 fins. At least one fin set must be a Custom Design with at least 7 corners (include leading and trailing edges). Corners closer than 1/8" to each other are allowed but do not count toward the required number (the idea is to have interesting shapes and not just rounded corners). Altitude Efficiency: Go as high as you can, but do it efficiently. The score for this event will be calculated as follows: Altitude efficiency based on cargo volume = Max Altitude * cargo volume / total impulse. Settings for this event will be: calm winds (0-2 mph), fairly constant speed (0.01). No thermals. Cargo Efficiency: It is important for your design to be able to carry a large payload to far away destinations. For this contest you will carry a payload (mass object of your choice) in your cargo area and try to keep it in the air as long as possible. Note: You must place your mass object in the center of your cargo area. Score = time in the air * cargo weight in ounces * cargo volume in cubic inches. Accuracy: The score for this event will be based on a combined ranking from two categories. For this event your mission is to lift your bird to an altitude of 500 feet and land it as close as possible to the pad. You must carry a 3-pound payload for this event. Drag Race: The score for this event will be based on a combined ranking from these two categories. No payload for this event. 4b) Highest top speed (Hint: Lightweight rockets will give you an edge here). The only cause for DQ is if your landing speed is higher than 20 feet/sec. (1) Decal Sheet Three-pack which will include an Outlander/Mars Lander Decal Sheet, a Detail Decal Sheet #1, and our forthcoming Detail Decal Sheet #2. These are all huge 8-1/2 x 11" full-color waterslide decal sheets, valued at $6.50 each ($19.50 for the bunch). Chan went the route of a two-stage design using 11.4 inch tubing for his cargo area. With a cargo volume of 4593 cubic inches, a long boattail and elliptical fins for the sustainer, this rocket is bound to do well in the first two events. Will that be enough to earn him the coveted title? Time will tell. Andy Peart used 11.4 inch tubing to create this mean looking one-stager aptly named "Attack Em". Is he trying to intimidate the other contestants? Andy used a very short 6 inch tube located at the base of the boattail of the rocket as his second airframe diameter. "Attack Em" has 4899 cubic inches of cargo space and it is obviously designed to take advantage of the "cargo multiplier" in events 1 and 2. Todd Mullin stacked several 4 inch tubes to get 1214 cubic inches of cargo volume with a relatively small frontal area. 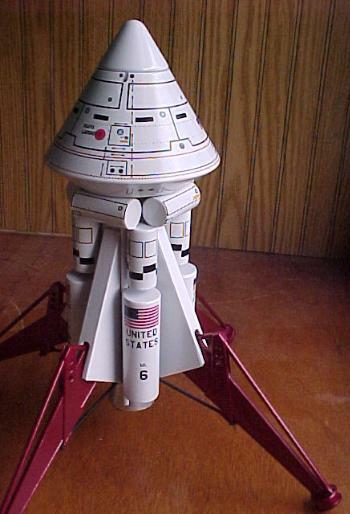 He calls his rocket VRCX (for Virtual Rocket Contest #10). 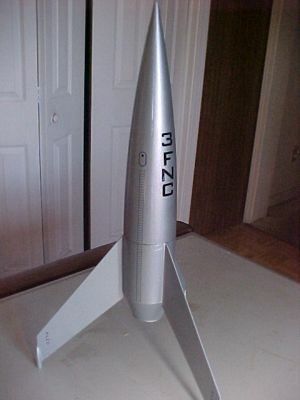 His design features two stages, a very compact nose cone, and booster fins that make you wish this rocket never comes in ballistic! This is Bens first participation in a VRC. Welcome and good luck! This unique design called "Dark Matter" was submitted by Ben Levison. He will be using a cluster of four motors, coupled with a 4-inch diameter cargo bay with an internal volume of 866 cubic inches. A truly unique fin arrangement gives this rocket a mystifying look. 1) Phil Handley had the first entry for this contest and submitted this two-stage, 4 inch rocket called the "Anti-Crambaster". Phil takes the approach of near-minimum cargo volume (578 cubic inches) and low drag to maximize altitude and speed. Can you say forty-five-footer? 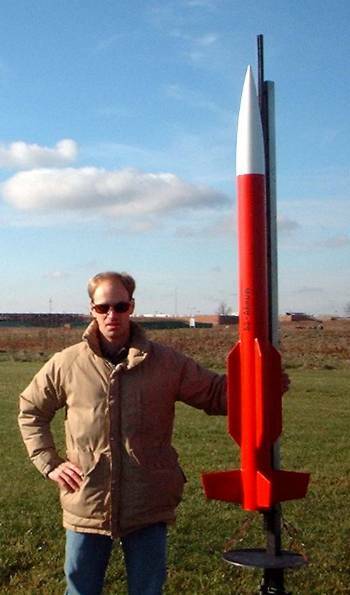 For this contest Bill Cooke has created the "Cetus", a behemoth of a rocket 45 feet long and 6 inches in diameter. No doubt about Bills Strategy: 12,142 cubic inches of cargo space will certainly help in events 1 and 2! Even the Airbus A380 would be intimidated by this thing. By the way, the name Cetus comes from the constellation of Cetus the Whale. Doug Gardei is our tenth contestant, with his entry named Time Cop (2). Time Cop has a cluster of one 54 mm and 8x29 mm motors. The cargo section is made of 5.5" tubing and it has an overall cargo volume of 614 cubic inches. Following in his sons steps, (sounds weird, doesnt it?) Bruce Levison submitted this "puller" design he calls "Meltdown", which features front mounted motors. Is this just a friendly competition between those two, or is it part of a plan for this father-and-son team to rule the universe? In any case, Bruces design uses 4 inch tubing and has a cargo volume of 1181 cubic inches. As expected the larger rockets scored well in event #1. Bob Cox got off to a good start, and is leading the event with an efficiency score of 11,369 . His rocket had a large cargo area, but was still just light enough to be launched on a long burning K250W. Chan Stevens and Bill Cooke also fared well in this event with respective scores of 8,454 and 7,395. Worth noting is the motor selection for David Allen's rocket. With a cargo of only 555 cubic inches, he managed to get an efficiency score of 5548 by using only 320.6 N-s of total impulse. Oh, the drama! In event #2 one of our contestants pushed the envelope a little too far and exceeded the landing capacity of his bird. As a result we have a DQ for landing speed in excess of 20 fps. It is Andy Peart who seemed to have found the best combination of cargo volume, payload mass and hang time. His flight resulted in a score of roughly 343 millions. He is followed by Bob Cox, who lifted an impressive 336 oz. of payload and generated a cargo efficiency score of 299 millions. Todd Mullin takes third place despite a relatively modest cargo volume by managing a hang time of nearly 840 seconds and a score of 219.7 millions. After events 1 and 2, where the big oversized rocket had the edge, many competitors are looking forward to events 3 and 4 shift the advantage. Event #3 includes three sub-events: Closest to 500 feet altitude, lowest deployment speed, and closest to the pad. Although it is relatively easy to get two out of three, many contestants had to sacrifice either on deployment speed or on landing accuracy in order to optimize the other two. Let's see who got all the parts of the puzzle together: Todd Mullin had a great start, with an altitude of 499.58 feet; only 0.42 feet shy of the objective. He was followed closely by Bob Cox and Doug Gardei, with 1.03 and 1.28 feet respectively. Not sure what happened to David Austerberry here. It seems like he forgot to add his 48oz. payload when running his sims. In the second part of the event, it is Chan Stevens who scored the most points, with a deployment speed of 0.55 feet per second. He was followed by David Allen at 1.22 fps and Andy Peart at 1.49 fps. Lastly, Phil Handley landed his bird 11.098 feet from the pad to take the honors of the "closest to the pad" portion of this event. He was followed by Bob Cox at 21.586 and David Allen ad 28.229 feet. Three categories, three different leaders. In the end, it is Bob Cox who accumulated the most points thanks to two second places. The final results for event #3 are: Bob Cox in first place, followed by David Allen and Chan Stevens, tied in second. Drag Race! This will be the best opportunity for the smaller rockets to accumulate points and move up in the overall ranking. This event is divided in two parts: Time to clear the launch rod, and highest top speed. In the first part of this event we have David Allen and Ben Levison sharing first place with a time of 0.103 seconds. They are followed very closely by Bruce Levison, who cleared the rod in 0.109 seconds. In the second part, David Allen left his competitors in the dust with a top speed 2,162 feet per second. Ben Levison got second place with 1649 feet per second and Bruce Levison got third with 1,532 feet per second. Overall, it is David Allen who takes the top points for the event. He is followed by Ben Levison in second place and Bruce Levison in third. Worth noting, Bob Cox, the current leader in the overall points finished this event in eighth place and added only one point to his score. Will he be able to maintain his lead??? I didn't see anything about dual deployment (i.e. drogue chute and main chute). Is that allowed? No, you must use the "Deploy at engine ejection" option, or you can select your ejection time, rounded to the nearest second if you choose to use electronics (which requires a mass object of 2 ounces) .